ABC's 'American Housewife' is set in Westport, Connecticut and characters have occasionally derided their neighbors in Norwalk, drawing the ire of the city's real-life residents. Residents of a Connecticut city that has been mocked on an ABC sitcom say the jokes need to stop, citing a Halloween episode featuring a character dressed up as a pregnant "Norwalk prom girl." 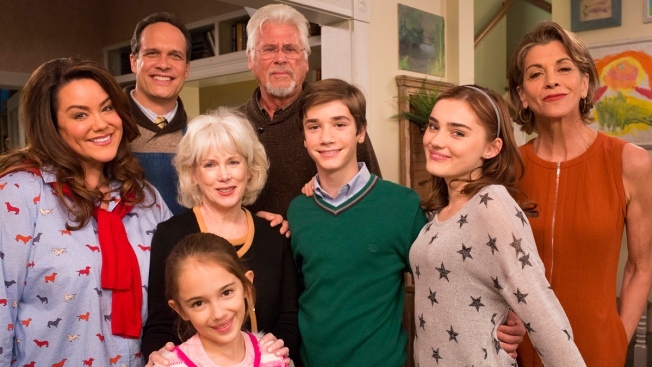 "American Housewife" is set in Westport, and characters have occasionally derided their neighbors in Norwalk, drawing the ire of the city's real-life residents. Andy Ross created the website stoptheinsults.com to petition network owner Disney to apologize. He says he doesn't understand why the show can't needle a fictitious city instead. Norwalk Mayor Harry Rilling tells the Norwalk Hour that mocking high schoolers is "a form of bullying." Westport First Selectman Jim Marpe says residents of his town feel the show is unfair to them as well. ABC did not respond to requests for comment.